Sharing a few highlights from a very busy year of service! A huge thank you to all our members for all that you do. You are indeed — Wonder Women! Carrie Oakley was 86 years old when she started volunteering weekly at McConnell-Raab Hope Lodge shortly after it opened its doors in 2002. She was well on her way to becoming 101 years old when she worked her last day at the reception desk there. Her dedication and commitment to The Service League of Greenville and to McConnell – Raab Hope Lodge epitomizes community service and volunteerism. On May 12th 2017, McConnell – Raab Hope Lodge honored the memory of Carrie Oakley and all who serve with a small reception and unveiling of a plaque over the reception desk with Carrie’s name and picture. It is with great pleasure the McConnell- Raab Hope Lodge and the Service League of Greenville, Inc. honor the memory of 100 year old Volunteer Carrie Oakley and her many years of service as a front desk attendant. Her shining example of a warm smile, happy greeting, and faithful service still inspires all of us. We are forever thankful for their many years of fellowship, their dedication to the goals of the Service League, and their commitment to serving the needs of their community. The Service League of Greenville President, Annelle West, presided over our annual May Luncheon at Rock Springs. As we enjoyed our delicious lunch, she gave the President’s Annual Report and walked us through The Service League of Greenville year that was 2016-2017. We gave recognition and thanks to dedicated board and committee members who make the functioning of such a large organization possible. 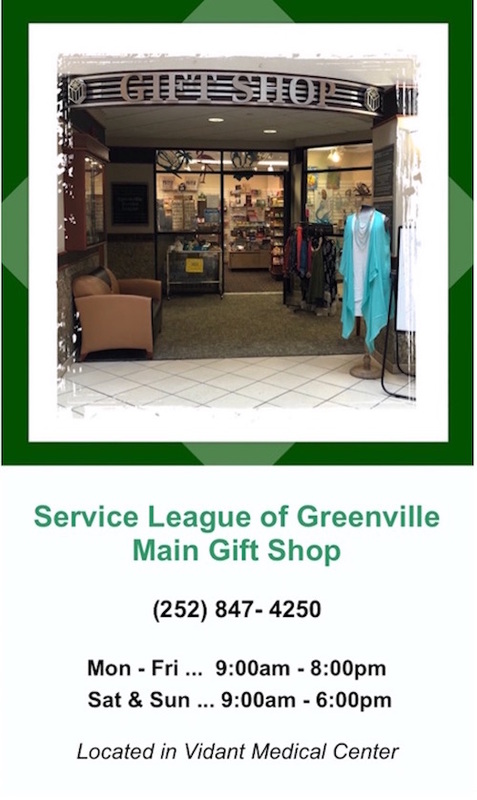 79 — Years of continuous service to Vidant Medical Center and our local community by The Service League of Greenville members. 162 — Total membership (99 Active, 54 sustaining, and 9 associate). 15,536 — Total volunteer hours served by membership. 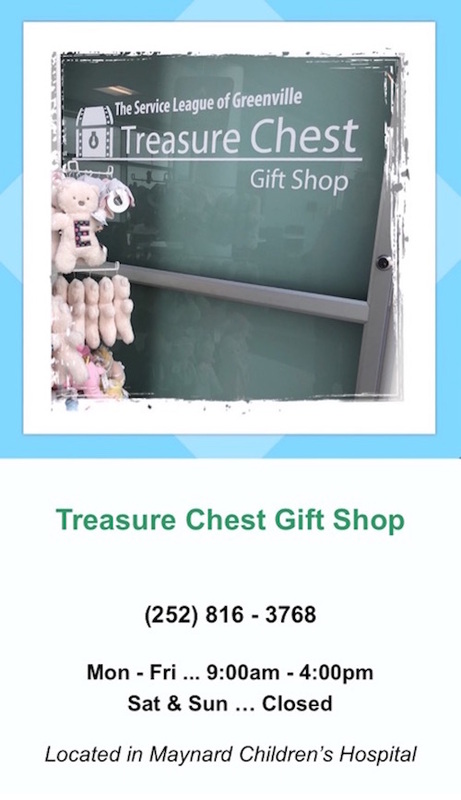 4307 — Volunteer hours served in our gift shops and snack carts. 107 — Fleece lap blankets completed and shared with Vidant Health patients. 43,643 — Net Laughinghouse Funds generated through this years Charity Ball. 22 — Members with more than 35 years of volunteerism with The Service League of Greenville. 67 — Years of membership completed (longest) by Betty Lou Howard. 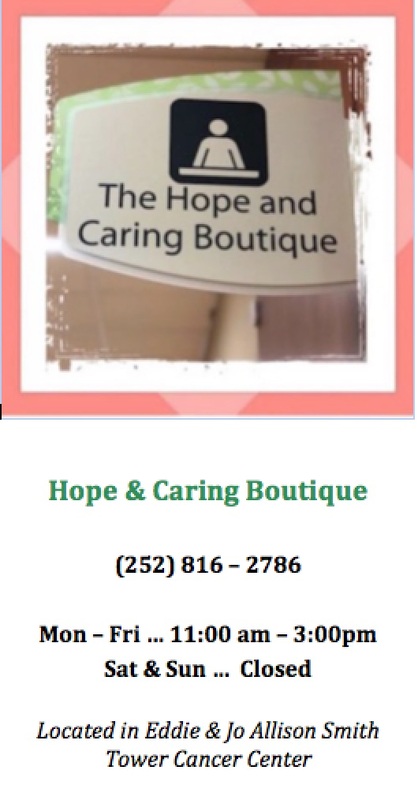 751 — Volunteer hours served in support of McConnell-Raab Hope Lodge. 80 — Christmas Food Boxes purchased by our members and donated to Greenville families. 120 — Christmas and Easter bags filled by our members and donated to Ronald McDonald House children. 85 — Children and adult coats donated by members and given to the Salvation Army following Hurricane Matthew. 67 — Meal items prepared by members and shared with Ronald McDonald House families during Thanksgiving, Christmas, and Easter. Board member Wilma Shackelford was awarded the President’s Tray. Sustaining member Linda Osborne was honored with the Agnes Wilkerson Award. Service League member Frances Mallison was presented with the Ormond Service Cup. For more pictures from our luncheon, click HERE.